Finally, a CoD with amazingly well written and memorable characters and a story that truly depicts the weight of humanity. For the story/characters, this is the best CoD and something even non-fans could probably enjoy. I'm honestly shocked at how good it was, considering how lazy most of rest of the entire series is when it comes to characters. I hope that starting with Advanced Warfare and this one, singular main characters are the norm from here on out. There's a sense of scale in this one and your position in the midst of everything was compellingly awesome, it will be very hard to top. Game wise I might like Advanced Warfare more for its linearity and better level design, but set pieces and story/writing/characters wise, this is the best CoD by several huge miles. Despite a lot of average experiences with CoD games, I am glad I didn't write the series off and gave some of them another chance, especially this one. Maybe a commercial failure compared to the other installments, but I bet Infinity Ward had fun making this one as it's a really original venture and they got to let loose on some real artistic vision. It would be cool to see Infinity Ward aim to make something like CoD4 with MW4 next. I don't think we'll ever see CoD this sci-fi again. Ironically though, that scope and creative freedom is what gave this game a lot of weight and scale that they may never capture in the series again. Outside of that glaring flaw, we found the game to be really easy if you use the tools provided by the characters. Well, I was playing solo, so maybe that's the difference. 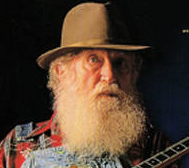 Sarge wrote: Well, I was playing solo, so maybe that's the difference. Most likely. Blu was playing the healer and I was playing as Master Blaster from Beyond Thunderdome and he would horde the magic for healing purposes. We had a great synergy going on. Unearthing Mars is a hodgepodge of ideas for how to design a VR game and, accordingly, some work really well and some are horrid. I felt like the game had a kusoge feel to it, sort of like a PSVR version of the Sega CD's Ground Zero Texas or some such...There are some really well done and memorable scenes, there is some horrid dialogue, some impressive visuals, some clunky interfaces, etc. It really is a mixed bag, but I sort of love it for its warts. Might be worth picking up on the cheap for those of you with the system looking for a game that defies genre. Jenny of the Prairie is arguably the first game made by women for girls, and I played it as part of this month's TR. I played some of both the DOS and c64 port, with the latter being something I played through to the point where I had collected all the things I believe I had to collect and was ready to survive the winter. I am not sure if there is an end point to the game or a "win screen" so if anyone knows that am wrong to list it here, please let me know. The game is an interesting curiosity, and if you are interested in more modern wilderness survival games it may be an interesting look back at the early days of the genre. I don't know why people had a bad reaction to MvC:I. I remember seeing some horrid character art, but those designs aren't present in the game (at least at this point). Most importantly, the fighting is fast, flashy, and fun - it feels much like a hybrid of SFxT and MvC3. To "beat" it I played through the story mode (mostly skipping the cutscenes) and the game follows the trend of the Injustice titles in moving you through a several hours long story playing as most of the characters available. It is a great way to get a feel for the game. I picked this up for about $15 and would happily recommend it to anyone at that price. Sadly needed 3 hours for the Infinite Rocket Launcher and another trophy... damn! I blame one of the snakes poisoning me and I was freaking out about the no ink attempt too. 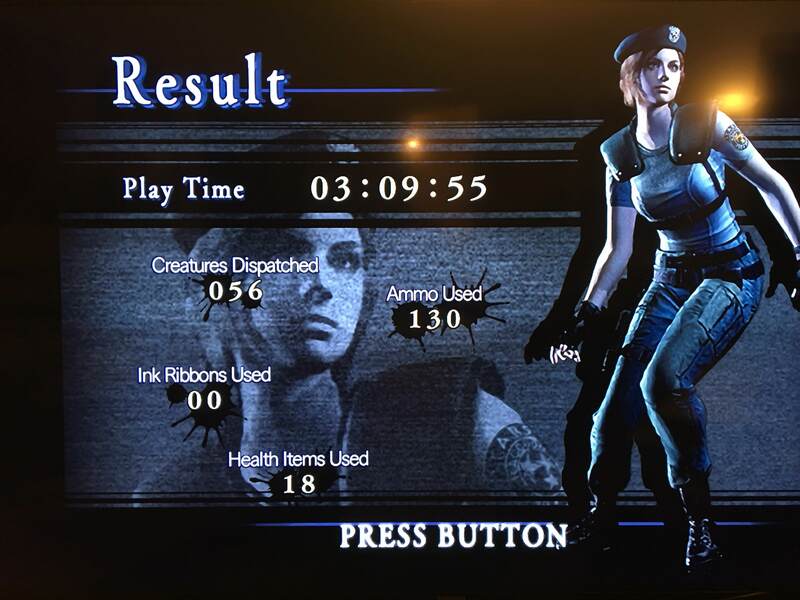 With the Samurai Edge unlocked and a lower difficulty I can probably hit that 3hrs. This game would have blown my balls off, had I first experienced it in the mid-90s. 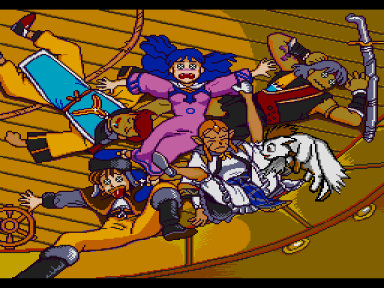 Lunar: The Silver Star is not simply another 16-bit JRPG, but an anime JRPG chock-full of screen-filling character art, voice-acting, cutscenes, cute girls, CD quality music and more. Sure, similar games had already made a splash in Japan, but most of these weren't released in the U.S. and those that did make it stateside where neutered to the point of unrecognizability. We can thank Working Designs for this treasure. The short-lived publisher was responsible for localizing several high-profile JRPGs; their résumé also includes the likes of Popful Mail, Exile, Dragon Force, and Magic Knight Rayearth. Working Designs spared no expense, as their releases were characterized not only by technical proficiency but elaborate full color packaging that includes raised foil text, concept art, and translation notes. Lunar's developer? Game Arts, who had previously enjoyed moderate success with Thexder (an action game with a million ports), Zeliard (a PC-88 and MS-DOS "Metroidvania"), Faria (an admittedly clunky NES ARPG), and the brutal and beautiful Mega Drive gem Alisia Dragoon. The story of Lunar is pleasant, though predictably contrived. A young man named Alex, inspired by a "Dragonmaster" of old, decides to head off on one of those generic ol' "adventures." 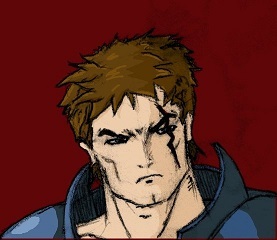 Of course he soon finds himself embroiled in a plot to save the land from a great evil. At the center of all the drama is a young lady named Luna, whose origins and true self are shrouded in mystery. Much like an early Ys title, Lunar has some fantastic "lore" but the actual plot is rather baffling. Several quests feel nonsensical, plot holes are abound, there's a vague and underdeveloped "magic vs. machinery" subplot, and the villains appear to be comically invincible -- until they're actually confronted and go down without much of a fight. Of course, retro JRPGs tend to be more character-driven than plot-driven, and Lunar boasts some of the best playable characters of this era. Sure, they're all cliché and trope-y, to an extent, but so likable that it doesn't matter. The majority of the game is spent controlling a Party of Five, though some other folks occasionally pop in to help. Alex is the inoffensive (mostly) silent protagonist, a stand-in for the player. He's joined by the wisecracking womanizer Kyle, the hardheaded but sweet Jessica, the cocky pretty-boy magician Nash, and the "magical girl" Mia. The temporary party members are arguably even more interesting than the main cast. Luna herself is playable for a bit -- her melodious voice used as a substitute for traditional magic. Alex's rotund buddy Ramus tags along for a spell, claiming that he's in it just for the money. He eventually manages to procure - and sell - a valuable diamond. Then he bails. In a "normal" JRPG a character like this would eventually gain some modicum of heroic courage and manage rejoin the fray later on, but in the land of Lunar Ramus simply settles down, content to be a shopkeeper NPC. And, finally, there's Nall, Alex's "pet" flying cat(?). Too small to actually participate in combat, Nall is instead in charge of saving, loading, dropping unwanted items, and rearranging party members. He can also warn his human companions about the perils of any given enemy encounter. It's a subtle alteration to the traditional RPG menu system, but an ingenious and welcome one. The depth given to these characters - by both Game Arts and Working Designs - is rather astonishing for a game of this genre and age. Party members talk among themselves. They joke, fight, console, fight some more, and love. Oh yeah -- there's romance. Nash is in love with Mia, with seems oblivious to the whole thing. Jess and Kyle have the hots for each other but are both too stubborn to yield to their urges. And Alex clearly wants to get with Luna. She's technically his (adoptive) sister, but since when has that stopped a determined young chap? Interaction with Lunar NPCs is an additional treat. These folks have a lot to say; most NPCs have multiple lines of dialogue and speaking to them after key game events is guaranteed to change things up. Additionally, instead of simply spitting forth rote comments, many NPCs will interact with specific playable characters, such as the uncouth hillbillies who (badly) flirt with the ladies, and the various folks who seem baffled by Nall's very existence. A review of a Working Designs game is not complete without comment on Working Designs dialogue alterations. The publisher was notorious for inserting cornball "jokes" and (now very much dated) pop culture references into their games. Thankfully, they didn't overdo it here, as most of "Westernized" statements are assigned to inconsequential NPCs. Lunar is miles away from Cadash, where a notable boss decides to namedrop Carl Sagan. I dig the graphics. The game looks like it's draped in velvet, Costanza style. There's an overall appearance of sleek softness. The color palette used throughout tends towards the dark. There are lots of muted greens and browns and grays. A bit of an acquired taste, but uniquely enjoyable. 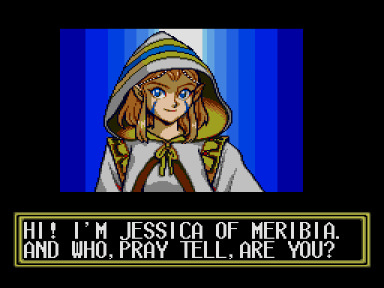 While most visuals look similar to what Genesis cartridge games were capable of, the cutscenes give the Sega CD a chance to flex its graphical muscles. While these scenes are few and far between, all look exemplary with that classic early 90s anime "look." There's a surprisingly wide array of character art on display. In addition to the cutscene art and standard character sprites, facial portraits are also displayed during traditional dialogue exchanges, and adorable super deformed figures are used when navigating the menus. Arguably the best visuals in the game can be found in the towns, interestingly enough. Game Arts was careful to give each one its own identity. There are sleepy hamlets, bustling cities, steampunk wastelands, waterfront villages, and more, all replete with appropriately stylized NPCs. 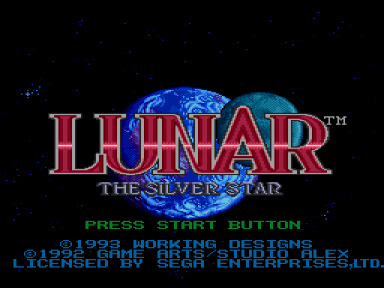 While there are no standout tracks on par with those found in, say, Phantasy Star IV or Chrono Trigger, Lunar's soundtrack is generally pleasant. A large percentage of the soundtrack is slow and relaxing, peppered with some undeniably beautiful ethereal pieces (in the shrines), which aids in giving the game an overall laid-back sort of vibe. There's an opening theme song complete with English lyrics, and of course the occasional bit of voice-acting. The voice-acting is technically sound for the era, but today sounds muffled and dated. Also dated is the painfully schlocky theme song. Apparently the lyrics were completely reworked for the English release -- to sound "tough" rather than romantic. This is also detailed in the instruction manual -- where the publisher first states that they wanted to maintain the integrity of the original Japanese release, and then begins to list all the changes made for the English version. Gameplay is lightning fast, smooth, slidey, and occasionally "twitchy." Characters zip across the screen, battles are over in a flash, and there's nary a load time to be found, save for the initial boot-up. The overall length and pacing of Lunar is highly reminiscent of The Legend of Heroes and other JRPGs that originated on Japanese computers. Much of the game is spent fighting monsters, naturally, and a fair amount of grinding is required. While battles can be completed quickly, they're generally rudimentary and one of the weakest aspects of the game overall. Combat is the typical turn-based affair, and while physical attacks are sufficient at the game's beginning Alex's party will eventually need to switch to target-all offensive magic (MP is easy to replenish). There's a "distance" component to consider -- those with a short range weapon must first use a turn approaching an enemy before they can attack. That's it; it's not a "strategic" element by any stretch, and more often than not it's just a sure-fire way to simply "waste" a turn. Enemy selection is also lackluster. Bunches of generic monsters present themselves throughout the game, though none feel particularly memorable or inextricably linked to any given setting. Game Arts also dropped the ball when it comes to dungeon design. There are so many interchangeable caves with nothing but a varying background color used to distinguish each one. So goes it for the "towers" as well. 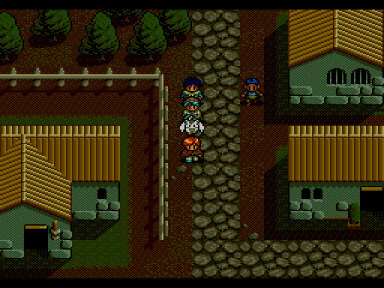 Thankfully the towns - and even the overworld - are so memorable instead. Ultimately, it feels like much more attention was paid to the game's aesthetics rather than the actual design and flow. I'd like to close by touching on a few Lunar idiosyncrasies. Some aspects of the game that are just, well, odd... Of special note: there are no inns to replenish HP and MP. Instead one must seek out shrines or monuments on the world map (the latter only restore HP or MP). There's one particular shrine that can be reached via the warp spell - this needs to be visited frequently as the game progresses. Now, the inventory system. Annoying. When shopping, there's no indication as to what weapons or armor will increase or decrease stats. Most everything can be equipped, and items need to be equipped to a given character to be used in battle. It's a clever way to increase challenge, though the game is low on that regardless. And, the bosses. No warning! They pop up much like random battles so it's important to always stay at near-full health lest an ambush occur. Thankfully the game can be saved nearly everywhere. I had a bit of an epiphany while playing this. I enjoyed it more than I remembered. My 2018 experience beat out sweet nostalgia. This almost never happens. Lunar is an uneven and flawed game, but ultimately a fine one. From a strict sterile gameplay perspective, I'd rank it alongside "B-list" SNES JRPGs like the first Lufia and Breath of Fire installments. 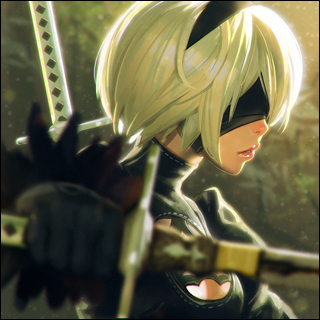 It's that gorgeous transcendent "anime-ness" that bumps this game up several notches. Now, Lunar has received an embarrassing number of remakes: it's on the Sega Saturn (two different versions! ), PlayStation, PC, GBA, PSP, and iOS devices. All have enhanced graphics and additional content, but they end up feeling a bit bloated and heavy-handed in the end. I prefer, and recommend, the original. 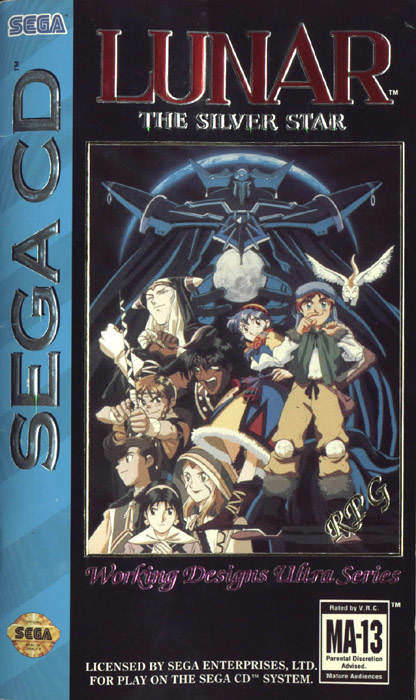 It's a straightforward satisfying experience, a landmark entry of the JRPG genre, and one of the top reasons to still play the unfairly maligned Sega CD. I highly recommend each of them as I enjoyed playing through each one. Next up: Okami HD for the PS4!